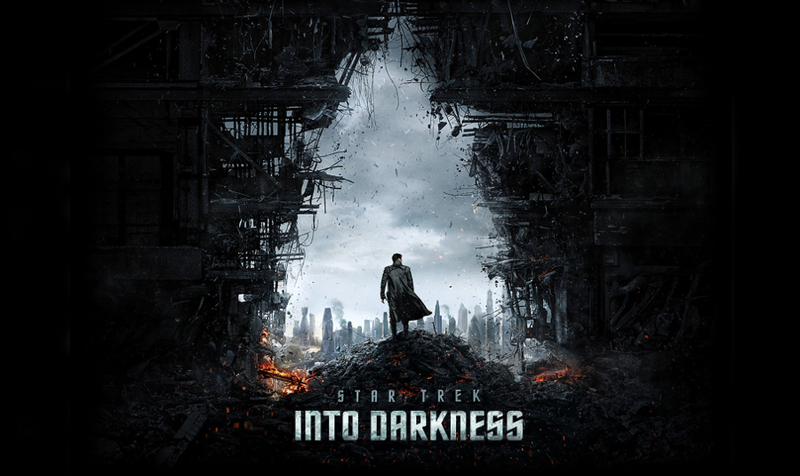 Star Trek Into Darkness is the sequel to the 2009 reboot of the Star Trek franchise. J.J. Abrams returns as director and many of the 2009 cast also make a return. The sequel performs just as well as the original and from some aspects does better. J.J. Abrams truly proves he can take source material and make it awesome for a wide audience and sets a high expectations for his work on the upcoming Star Wars sequels. Star Trek Into Darkness takes place not long after the first film. When an act of terror threatens the federation, Captain Kirk leads a manhunt into the far reaches of space to capture who is responsible for the attack. Chris Pine and Zachary Quinto return to play Kirk and Spock respectively with Benedict Cumberbatch playing John Harrison, the film’s villain The chemistry between the Kirk and Spock was part of what made the 2009 reboot so popular. Their different cultures make them opposites but work well together, even if they do get into the odd disagreement or two. Again in this film their friendship is tested and becomes one of key strengths in the movie. All the characters are played really great, there is characterisation for many characters, some that you may not expect and its balanced very well. The film started off in a different tone to what I was expecting. Seeing a futuristic London made me think I was watching an episode of Doctor Who. A large part of the movie’s introduction was set on Earth so it was nice to see how things operated when we weren’t seeing the crew in space. I felt the movie got better as I watched it, and the movie even managed to trick me a few times which not many can. The movie does not hold back on action either, from the start we’re shown the crew of the Enterprise trying to stop a volcanic eruption in an exotic planet. It really felt like something from the TV series where they got into all sorts of mischief. The Enterprise’s entrance does not disappoint and for me its one of the funniest and most impressive shots in the movie. I felt like geeking out at a lot of the action scenes. The sound in this movie is what really impressed me the most. The music score is amazing, I found myself humming the theme tune for days. It builds up the drama wonderfully and really drives through in the action scenes. Of course, anything by Michael Giacchino is bound to impress me. The sound editing and sound effects also stood out. I don’t usually say the sound is the first thing to compliment a film on but I found myself saying “wow, the sound in this is good” many times during the film. The Enterprise’s engine noises are like music to my ears. While not a big follower of the Star Trek universe as some, I was very impressed with Star Trek Into Darkness. Its a great sci-fi adventure which I will be looking forward to add to my Blu-Ray collection. It’s also made me very excited for the upcoming Star Wars sequels as now I know their in the hands of someone who knows what they’re doing.